As Chairman of Optometric Innovation for VSP Global, I feel we are in the midst of truly exciting times for our industry. A decade ago there wouldn’t have been a need for this kind of role. But over the past few years, having a dedicated focus on innovation and emerging technology in our field is critical. gaining an understanding of how emerging technology can positively impact the profession of optometry as whole. Just over two years ago, Google Glass made its debut. One of the world’s most disruptive and aggressive companies was making an entry into the optical industry. Instead of trying to hold them back, I represented VSP to ensure that optometry had a seat at the table by working closely with Google to create a feedback loop with ODs in the field, develop a training program so ODs were armed with the right information, and then connected consumers to those ODs. While Google Glass proved to be ahead of its time, the opportunity to influence early on was key to ensure that optometry played a role that was meaningful and relevant to the consumer experience. 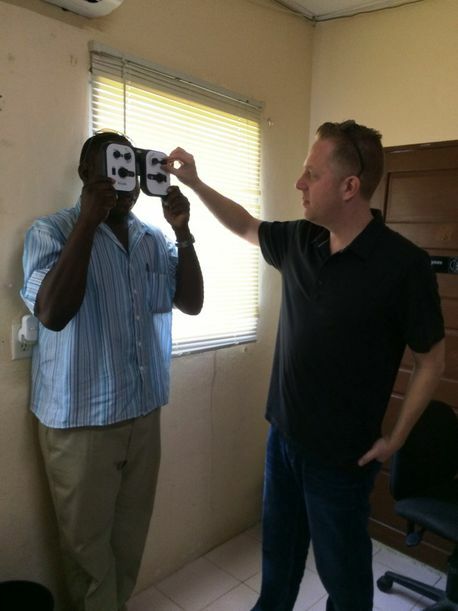 More recently I traveled back to Soweto, South Africa, as well as traveled to four clinics in Belize to introduce and evaluate integrating EyeNetra technology into current efforts to increase access to eye health services. The initial reaction to the technology was no different in these parts of the world than it is here in the U.S. There can be an inherent fear of technology disrupting the model of optometry that is in place today – regardless if you are practicing in Soweto, Belize or Woodland Hills, Calif., where I practice. 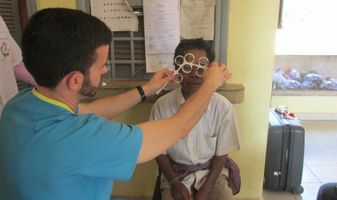 However, once these optometrists had a chance to learn about this emerging technology and evaluate it as a tool to help them increase access to vision correction, they saw how it could be adapted to them versus needing to adapt to it. In addition to leveraging and testing new tools to increase access to eye care abroad, I’ve also brought emerging technology into my practice. I want to obtain a true feel for the patient experience, which is the litmus test for if the technology can be successful. I do this because it becomes a win for patients (new technology elevates the patient experience), my practice (we‘re viewed as being technologically savvy), and for me personally (patients are more likely to follow advice if they have the perception of the highest level of care). It also stimulates conversation and allows me to provide meaningful feedback. VSP Global’s partnership with Vizzario is another example of obtaining a seat at the table early on in the development process of new, emerging technology to keep optometry relevant. As a practitioner, I’m excited about the potential of this technology. At its core, Vizzario operates as a sensory data exchange platform, which means it’s capable in taking in multiple data sets — from things like visual performance to heart rate — and then uses machine learning to analyze that data and provide context. 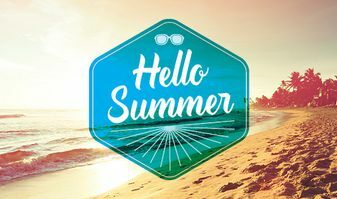 The opportunity to help track multiple patient data sets will allow me to become an active participant in my patients’ overall health and wellness, thereby increasing the relevancy and connectivity of optometry to their everyday lives. It also uncovers new potential revenue streams as I’m able to add additional layers to personalize the patient experience. As I see it, this is truly an exciting time for optometry. I encourage you to have an open mind about emerging technology and think about how it can elevate the patient experience, enhance the current delivery system, and benefit our profession. If you are going to Vision Expo East, check out what’s new: Ask yourself questions like, “Will this resonate with my patients? Is this relevant for my practice? Is this relevant to our profession?” Even if the answer is a no today, it will provide you with a good idea of where technology is moving within the industry.